Childish Gambino hits us with a visual for his track “Sweatpants” off the LP Because the Internet. Its anything but your average. No club, no popping bottles, no iced out chains , fancy cars and there isn’t a bunch of models twerking. What he does give you is what appears to be a one-shot video in a diner. Starts like a “What you see is what you get” Xzibit feel. But quickly turns into a loop. He keeps going back into the diner but something changes everytime. I’m a fan of artists that will take you away from the traditional braggadocio style of video. Don’t make the video so literal. 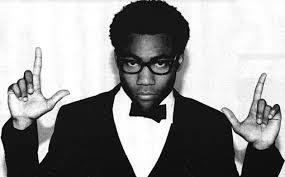 Childish Gambino gives us a little bit to think on. I can’t front. I’m a fan. Because the Internet dropped back in December and its still in my heavy rotation. I suggest you give it a listen.